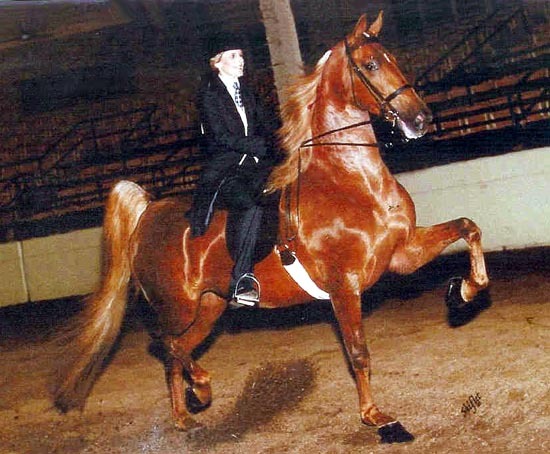 By the late 1700s, the American Saddlebred was being recognized as a unique and individual horse type. 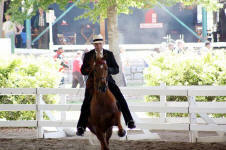 They were first known as The American Horse, then later on were known as Kentucky Saddlers. 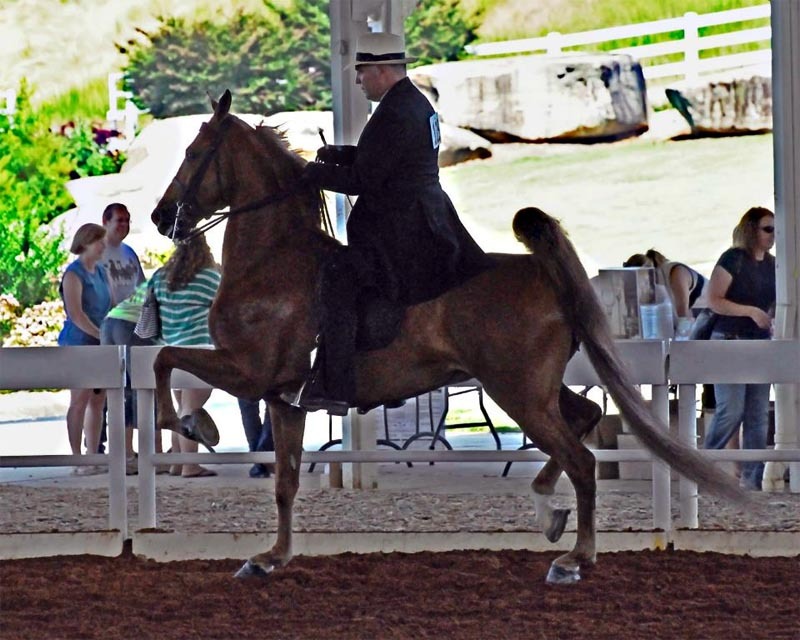 These hardy, gaited horses served as mounts for many famous generals. 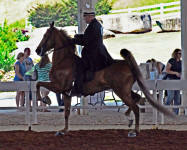 General Lee on Traveler, Grant on Cincinnati, Sherman rode Lexington and Stonewall Jackson's mount was Little Sorrell. 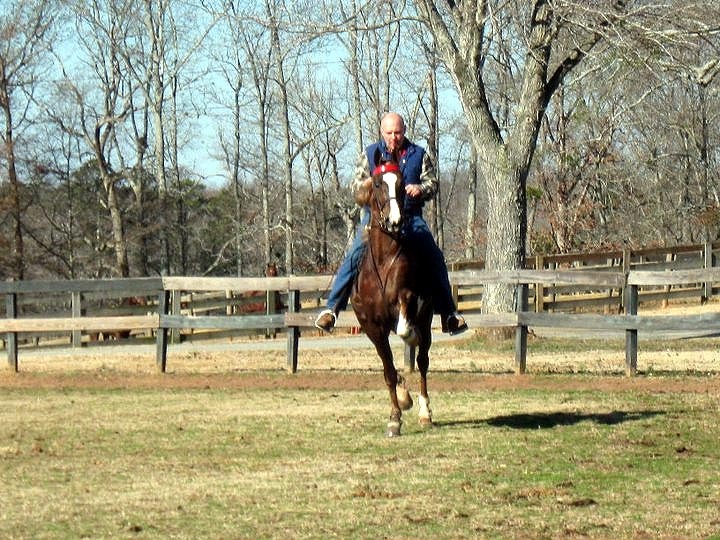 These horses performed legendary feats of endurance during the war. 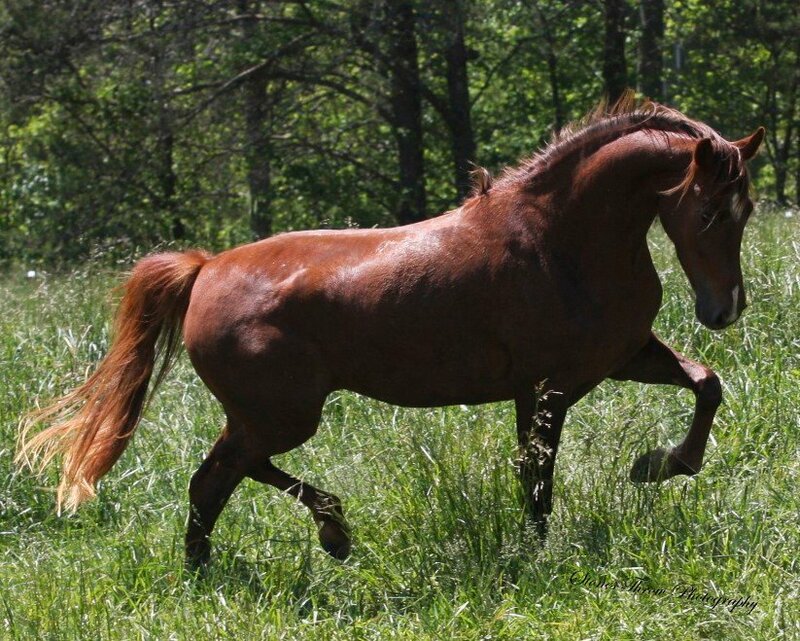 Because most Confederate horses were privately owned, General Grant's order at Lee's surrender which allowed the men to keep their horses, perhaps saved the breed. 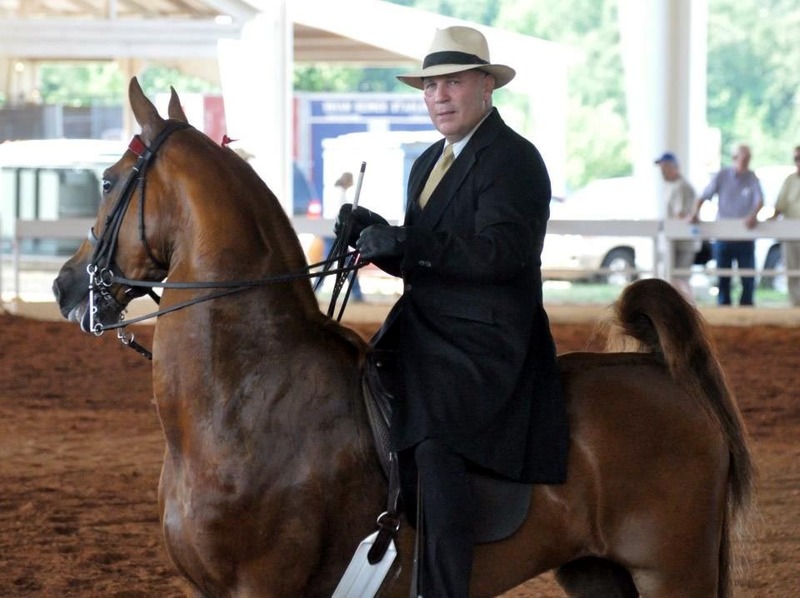 After the war, gifted horsemen began making a living at training these horse for shows and an intense rivalry between Kentucky and Missouri ensued. 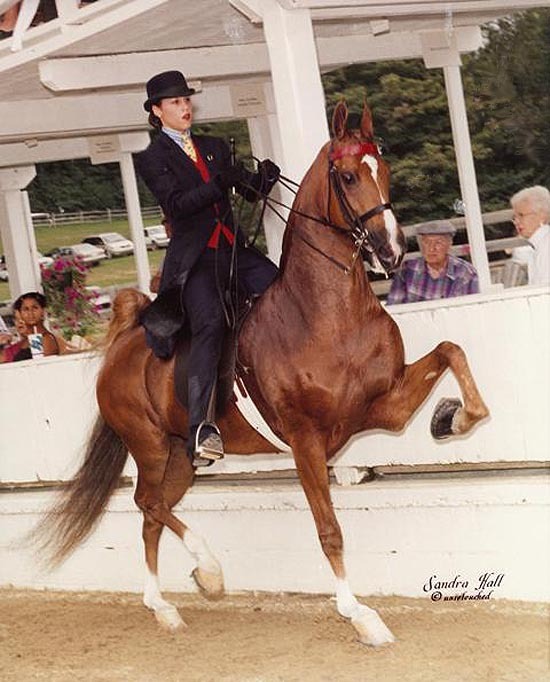 This was the beginning of the American Saddlebred as a refined show horse that we know today. 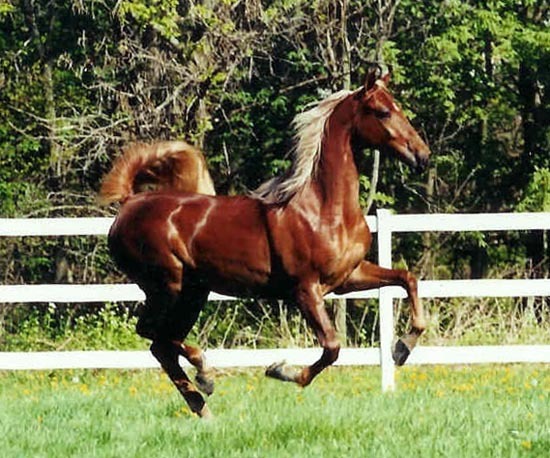 Our bloodlines include several highly acclaimed families such as Stonewall's Main Event, Buck Rogers, Radiant Sultan, Sir William Robert and The Mystery Writer. We have carefully selected stallions to compliment our mares' pedigrees, to produce offspring that are sure to be successful in the show ring and bring their owners many years of pride and pleasure. 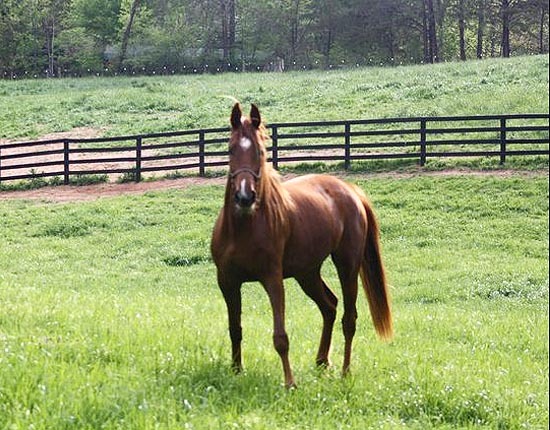 Through the legendary Callaway Hills bloodlines, you can see the natural five gaits coming through the youngsters as they play in the pastures. 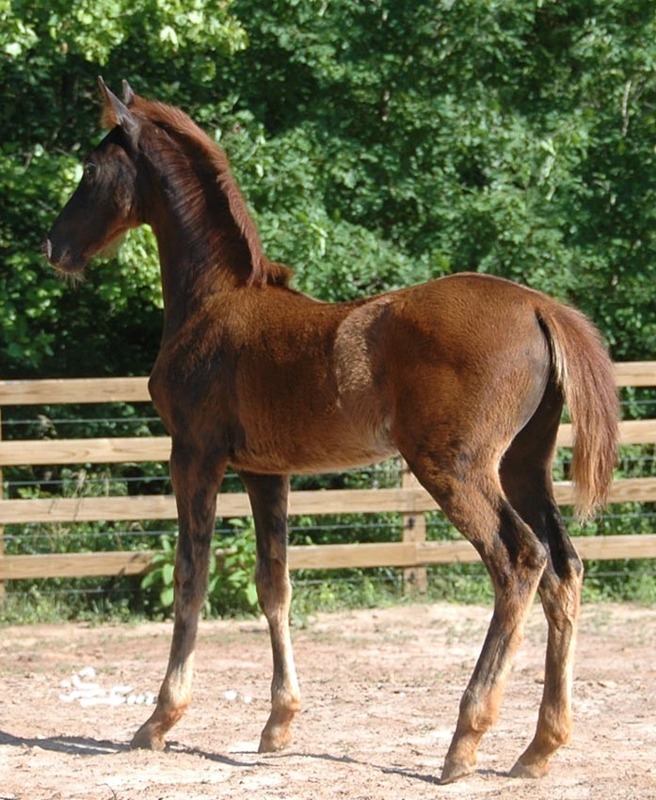 We have young stock available. Inquire for more information. 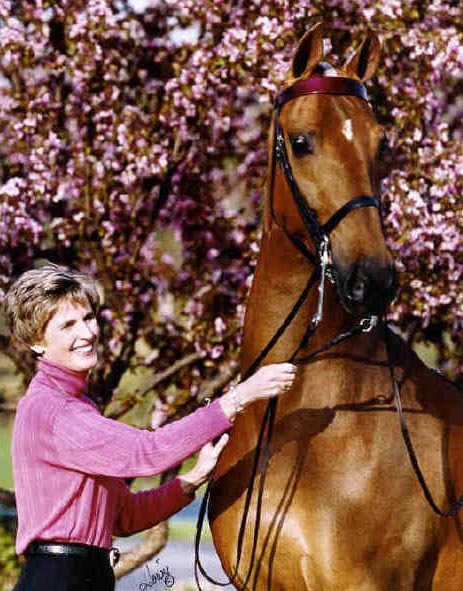 Crimson's complete pedigree, which includes pictures of many of her ancestors, can be seen here. 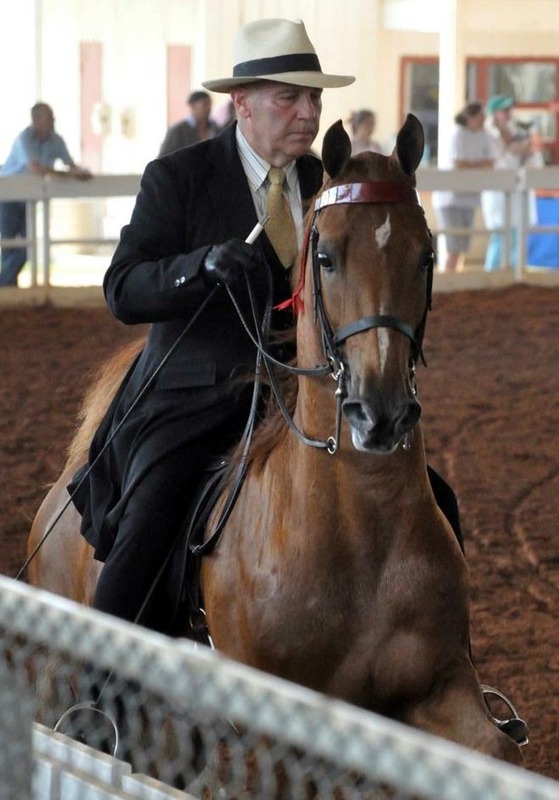 Clover's pedigree reads like a who's who of legendary Saddlebreds. 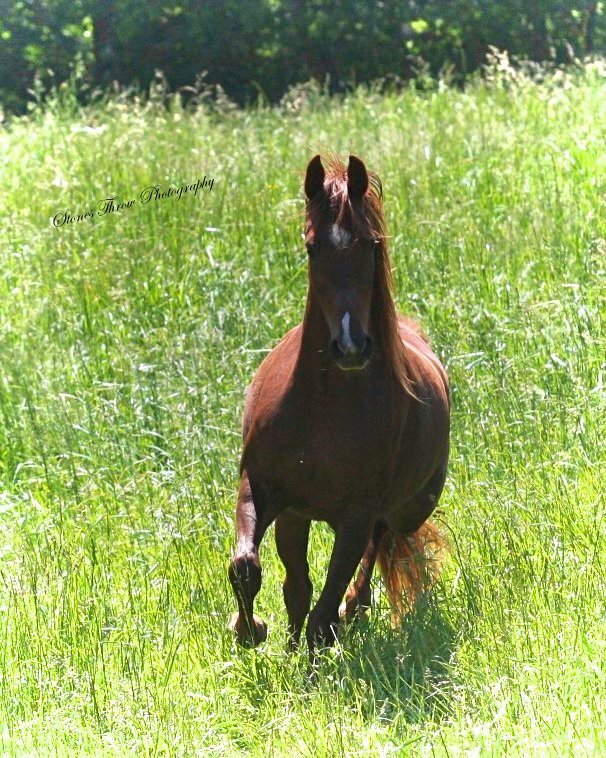 Her impeccable breeding comes shining through as you watch her move freely in the pasture, running with her herd. 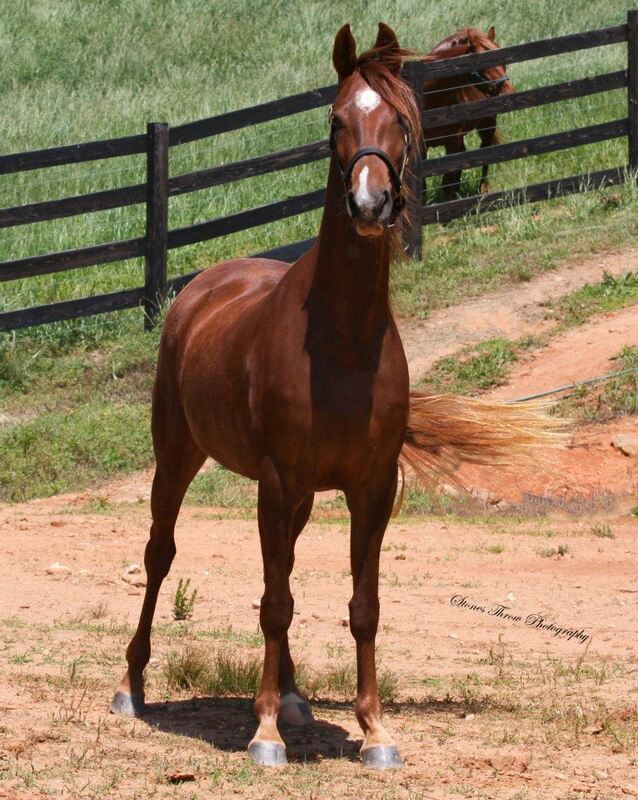 She has a commanding presence and at age 21, her beauty and athleticism can still take your breath away. What a testament to the lines she carries. 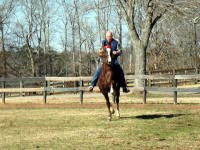 She is full sister to renowned Crimson and Clover, who is the dam of such greats as Trust Fund and She's Gone Blonde. 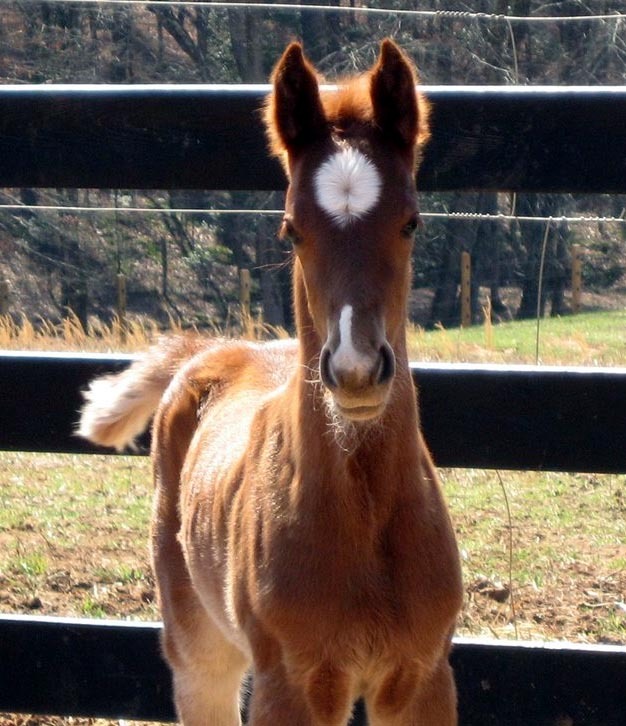 Clover's foals include Indigo Sky, 2007 gelding by The Mystery Writer; Empress of the Clover, 2007 filly by Sir William Robert; and The Preacher's Daughter, 2009 filly by Sir William Robert. 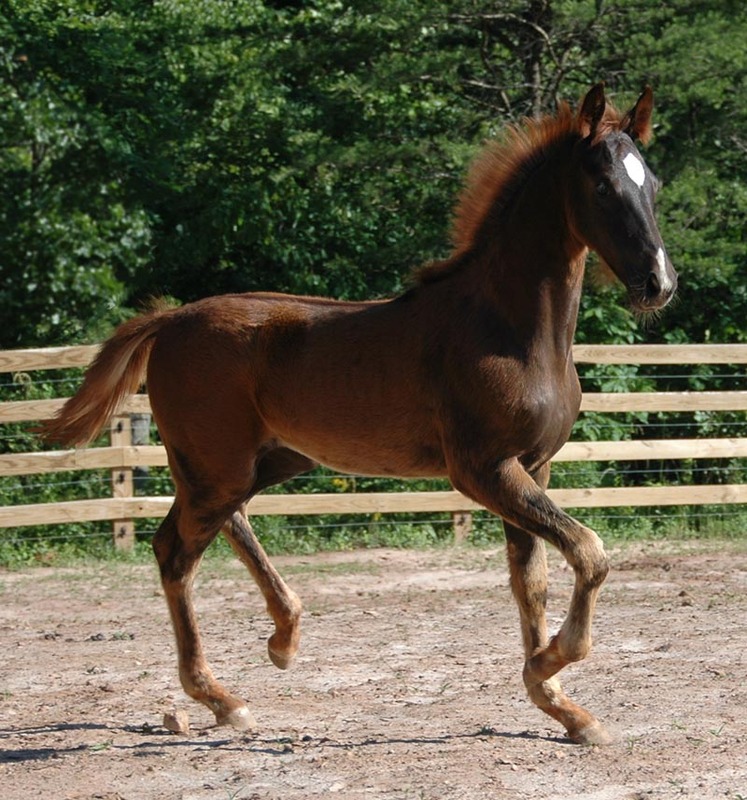 Clover's complete pedigree, which includes pictures of many of her ancestors, can be seen here. 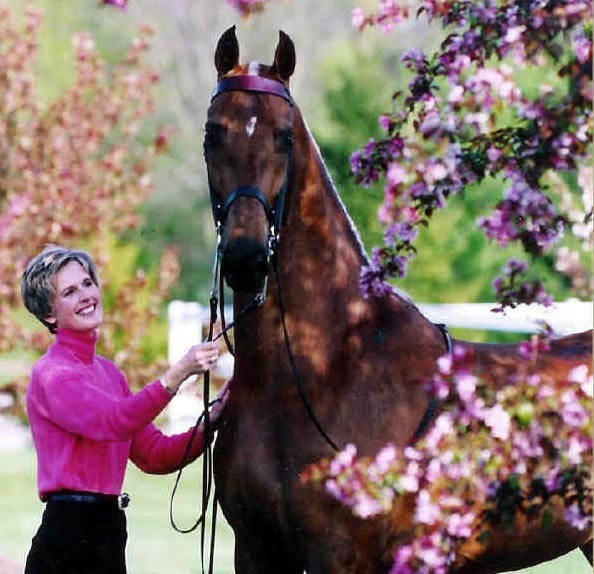 Roxanne's complete pedigree, which includes pictures of many of her ancestors, can be seen here.